"It's lightweight, modern, deadly and darn maneuverable," Russian media wrote about the new MiG-35 jet. If tests go smoothly, the first machines will enter service in 2019. While the plane is a deep modernization of the MiG-29 which first took flight some 35 years ago, it is an entirely different machine when graded on battle capabilities. In flight capability, the MiG-35 surpasses its main competition, the US F-16C Block 50/52. 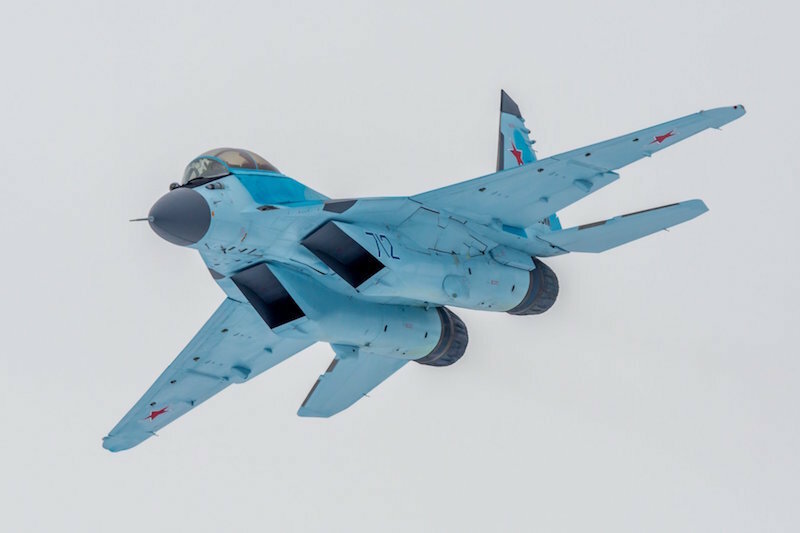 The MiG-35, which NATO has dubbed Fulcrum-F, can travel up to 2,560 km/h (well over the F-16 2,120 km/h limit) and can achieve altitudes up to 17,5 km (over 15,2 km of F-16). The MiG-35 maximum takeoff mass is 29,7 tons (over 21,7 of F-16). Both planes have an auto cannon and nine so-called hardpoints. The engine, however, is the plane's greatest advantage. Vectoring thrust nozzles allow the plane to perform complex maneuvers which only the super-maneuverable Su-35 could accomplish. The ability to achieve swift, unexpected maneuvers allows the MiG-35 to get behind an enemy position, useful in tactical maneuvering. The Strizhi (Swifts) performance flight group will be the first to test the new plane, as the group is tasked with developing tactics for the new machine. The MiG-35s will then be dispatched to the Russian Air Force. According to some media reports, the cutting edge aircraft will be based in the Moscow and Kursk oblasts. This means that the MiG-35 will be able to support Russian ground forces in the unlikely event of a military conflict on Russia's western borders. The Russian Air Force — a branch of the Russian Aerospace Forces — is expected to receive some 30 of the new MiG-35 aircraft before 2020. The makers of the MiG-35 are also researching the viability of developing a ship-based version of the plane. It has been reported that the KRET concern has adapted the new BINS-SP-2 deck landing system for the new aircraft. This system would allow navigation even though satellite or ground services are unavailable, and would suggest to pilots certain maneuvers.